What makes a car worth $6 million dollars? Beyond the custom cars and vintage collectables, undefeated performance at this price can only exist in the megacar production class, self-introduced by Swedish automaker Koenigsegg. Only six production cars of the Koenigsegg One:1 were ever created and quickly sold, with the exception of one development car that has hit the market -- if you're willing to put down a few gold bricks for it. First off, what is a megacar? 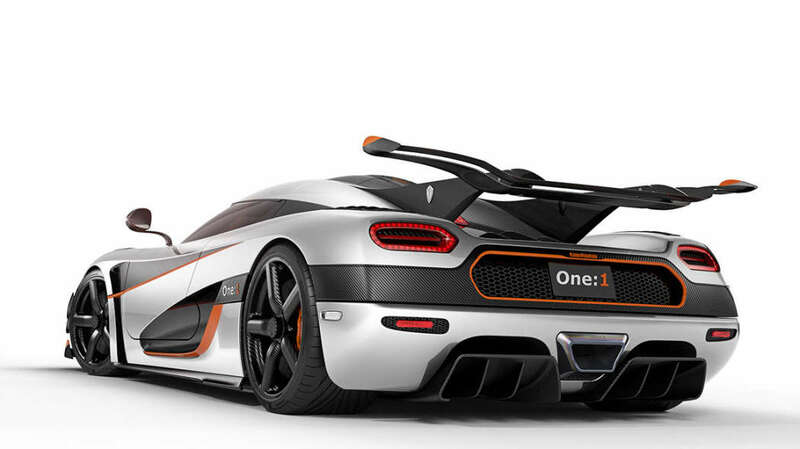 The One:1 is the world's first "megacar." To put it in perspective, lets take a step back and define the three unofficial classes of exotic high-performance sports cars. Most popular are the "supercars" -- factory stock high-performance cars that deliver above and beyond the majority produced in the auto market. They can be a bit more common, although that may not be the best way to describe the Lamborghini Gallardo, the Porsche GT2, and the Aston Martin V12. In these classes, supercars are the most household in name, as you can find their pictures littered in the $10 calendar bins and on posters above your 13-year-old son's bed. With a healthy injection of horsepower, an added sprinkle of exotic spices and an overall focus on faster, you have entered the "hypercar" category. Generally sitting between 800 to 900 horsepower and a dollar figure that hovers around the $1 million dollar mark, popular hypercars are the Ferrari LaFerrari, McLaren P1, and the Porsche 918 (you can even watch the three hypercars race here). They are speciality cars, optimized for performance, acceleration, speed, beauty, and anything beyond the dealership offerings. Pull up next to one and 100% of the time you'll be left choking on the dust. This leads us to the newest category of "megacar". If speed is your vice, this is by far the ultimate trip. In a showroom packed with big and bold brands, Koenigsegg is the small automaker that debuted the world's first megacar, the One:1, at the Geneva Motor Show in 2014. 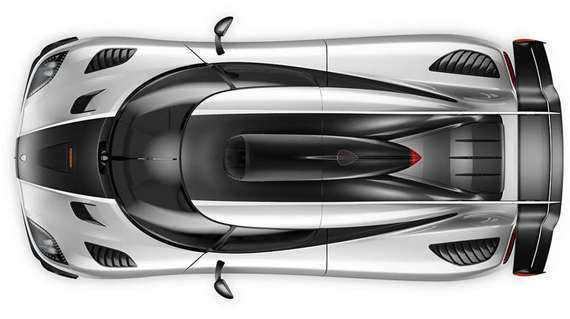 Koenigsegg has surprised many with the tenacity to bring dreams into reality. The One:1 proved its worth by hitting world records, including fastest laps in the Spa-Francorchamps and Suzuka Circuit. The little automaker that could might again be an understatement. Now the last of the fastest cars in the world has an extended price tag attached to it. The production vehicle is being held at a dealership in Sunningdale, just outside of London, UK, ready for shipment overseas next month. 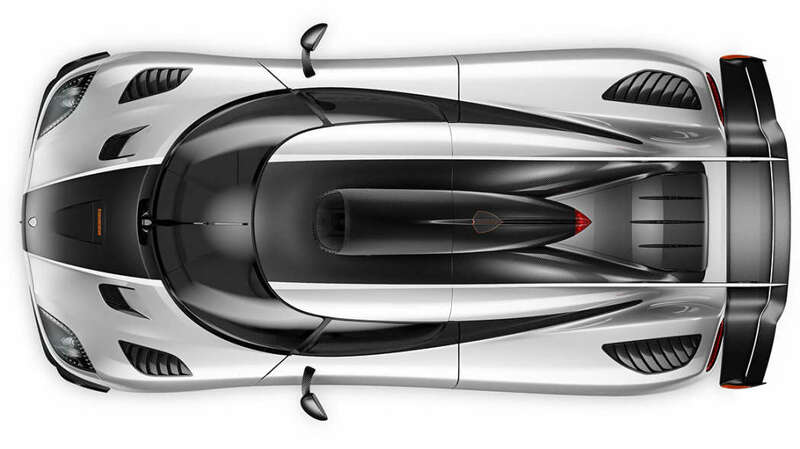 The odd name comes from the power-to-weight ratio of 1:1, weighing 1340 kilograms and producing 1340 metric horsepower. Top speed reaches critical levels at 439 km/hr and is the world's first homologated production car to produce a full megawatt of power. It's also the fastest accelerating production car in the world from zero to 300 km/hr. That's right. Fastest to three hundred clicks. Suddenly the price begins to feels justified, especially when Birdman dropped eight big ones on the Maybach Exelero a few years back. There's no doubt that someone out there with an itch for speed and a bullion in the backyard will be willing to drop millions on the fastest car today. Lets just hope it will spend more time on the road than stored in a private collection. I think it deserves at least that. About the Author: Reggie is a men's lifestyle writer that covers the epic stuff modern guys love -- luxury cars, video games, tech, you name it. You can read more by visiting his website.